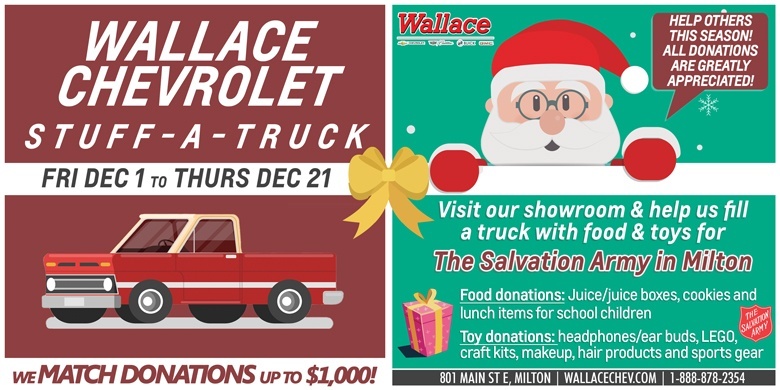 Help us ‘Stuff a Truck’ in support of the Salvation Army! Every year during the holiday season we partner with the local Salvation Army in Milton to provide a food & toy drive in our showroom. The goal? 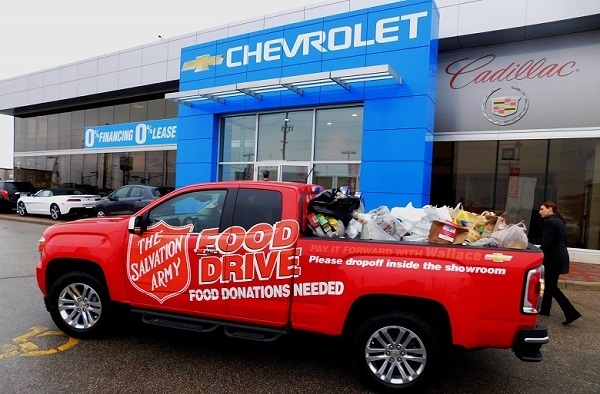 To pack our ‘Stuff A Truck’ with as much food & supplies as possible, with 100% of the donations going to the Salvation Army Khi Community in Milton. Help us help those in need this holiday season and visit our showroom to make your donation today. And don’t forget…We MATCH the value of all donated goods (up to $1,000) so every donation goes twice as far! All contributions are greatly appreciated. Thank you for generously supporting this great cause! To learn more about the Khi Community visit the official website here. To learn more about the Salvation Army visit the official website here.